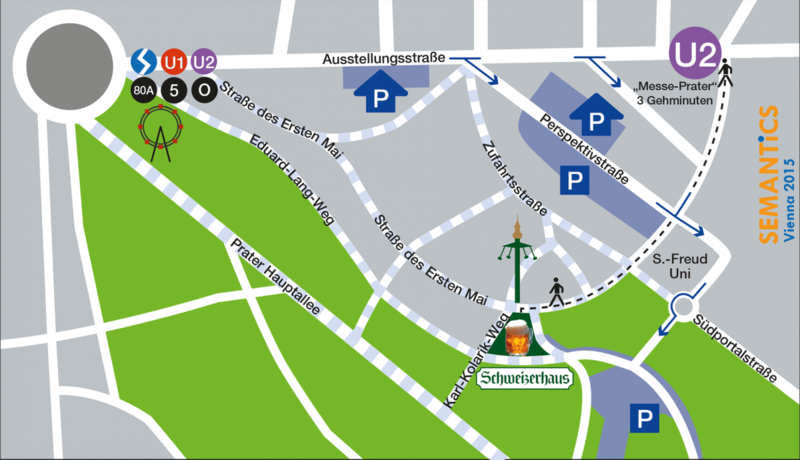 Join us for the conference dinner, which will be held at the "Schweizerhaus", one of Vienna's most popular Biergarten. The restaurant is located close to the Viennese "Wurstelprater", the world's oldest amusement park, and has a long-standing tradition that dates back to the time of the Habsburg monarchy. Listen to Oscar Corcho’s dinner talk “Slow-cooked data and APIs in the world of Big Data: the view from a city perspective” as an “Amuse Gueule” and applause the winners of the European Linked Data Award, given the first time to the Crème de la Crème of Linked Data and Semantic Web projects. The "Schweizerhaus" is considered one of Vienna's finest locations for traditional Viennese cuisine. 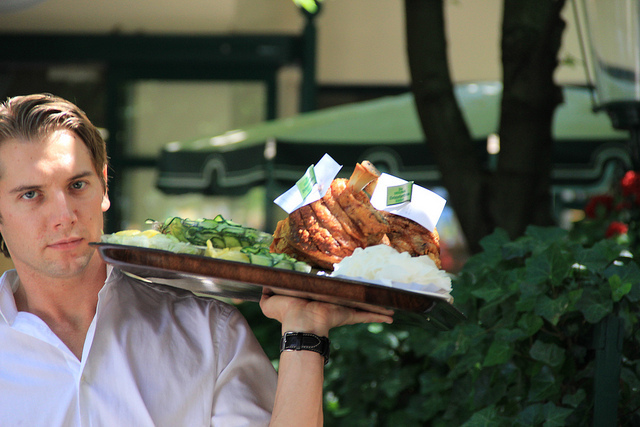 The restaurant is especially well-known for its "Schweizerhaus Stelze", a grilled pork knuckle. However, also non-alcoholic drinks and vegetarian meals are available. The dinner will last until the venue closes (at 11pm).